Archaeologists and historians around the world rejoice at all of the new technology they can now use. One of the major pieces of technology used by archaeologists worldwide is radiocarbon dating. This technology allows samples of rocks, clothing, weapons, and more to be tested and dated. The researchers can now get a more accurate idea of the age of the artifacts they find. 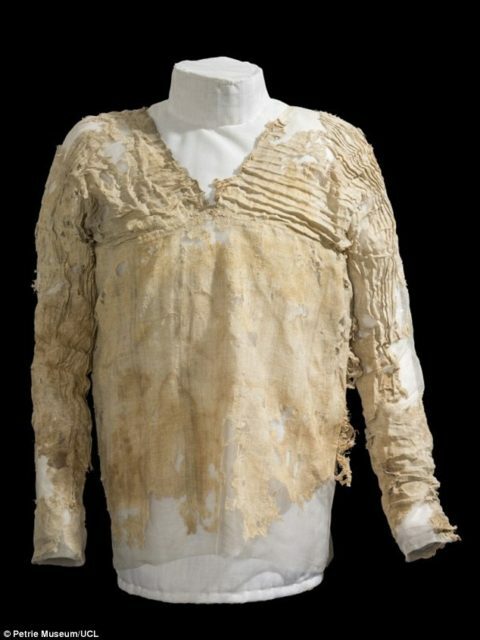 Just recently, archaeologists dated a Tarkhan Dress, also known as an ancient Egyptian linen shirt. 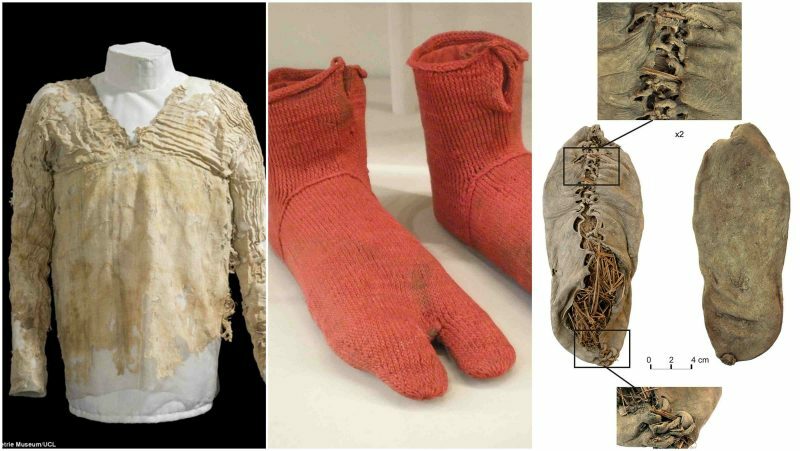 The radiocarbon dating confirmed that it is the oldest known woven garment in the world. It was roughly dated at between the years of 3484 and 3102 BC. The shirt had originally been excavated in 1913 from a First Dynasty tomb at the Tarkhan necropolis just south of Cairo. Archaeologists who studied the shirt noticed that its dimensions indicate that it was made for either a teenager or a very slight woman. Also it was apparent that the garment had been well used before it was buried. The curator of the Petrie Museum of Egyptian Archaeology, Alice Stevenson, said the fact that the shirt survived after all of those years was remarkable. Even more, it was amazing that the ancient shirt was found whole. She added that archaeologists had a feeling it belonged to the First Dynasty, but they were never able to tell for sure, until now – by using the radiocarbon dating. 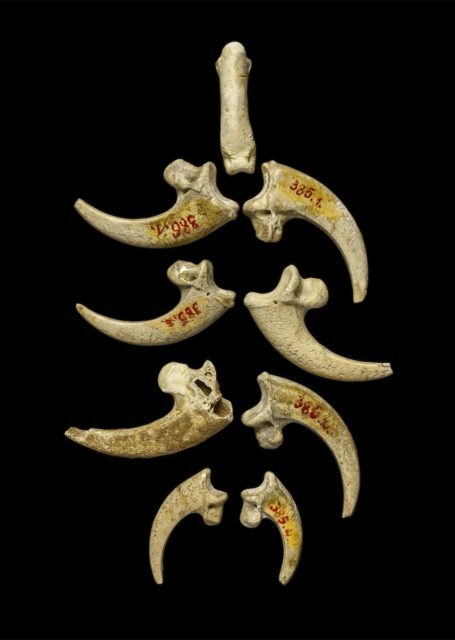 In 2015 researchers found what they believe to be the oldest form of jewelry – eight eagle talons found in a Neanderthal site in Croatia. There were eagle talons from at least three separate birds and which appeared to have been polished. They bore several cuts, probably notches for stringing, which led the archaeologists to believe the talons were worn as jewelry. On top of that, finding these jewelry pieces suggest that Neanderthals weren’t as dumb as researchers believed them to be. The people were part of a large society that practiced religion and art. Archaeologists also believe that the talons were chosen for ceremonial purposes, suggesting the Neanderthals understood symbolism. To add to that, the jewelry dates back to 80,000 years before the arrival of modern humans, making it impossible for these people to have copied the ideas of jewelry from another group. These shoes were found in the Fort Rock Basin in Oregon in 1938. Surprisingly, the shoes were both well intact. The sandals were made of twined sagebrush bark with a flat sole and toe wrap. Several pairs have been found and dated to around 9,300 to 10,000 years old. Researchers believe that the thongs on the sandals would have been wrapped around the ankle and fastened to the other side. 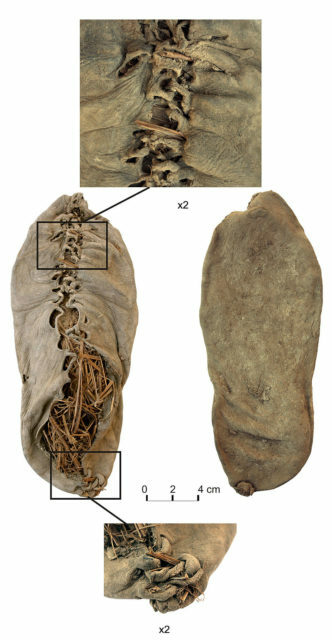 The world’s oldest leather shoe was found in the Areni-1 cave in southeastern Armenia in 2010. That shoe was estimated to be about 5,500 years old. It’s a brown leather lace-up for a small right foot estimated to be about a U.S. size seven. 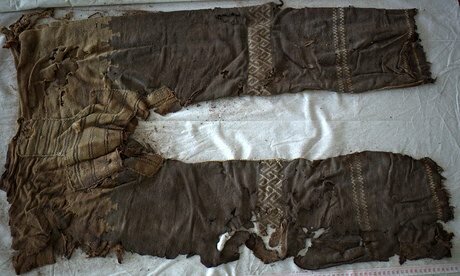 These pants were found in the Yanghai tombs in China in 2014. Despite how much they were worn and how old they are, they were found in great condition. Researchers believe that the pants were custom made by the separate weaving of pieces of cloth for the legs and crotch area. The pants also have geometric designs which was woven directly into the fabric. Researchers say that the pants like these had been popular among equestrian tribes in the region around 4,000 years ago. 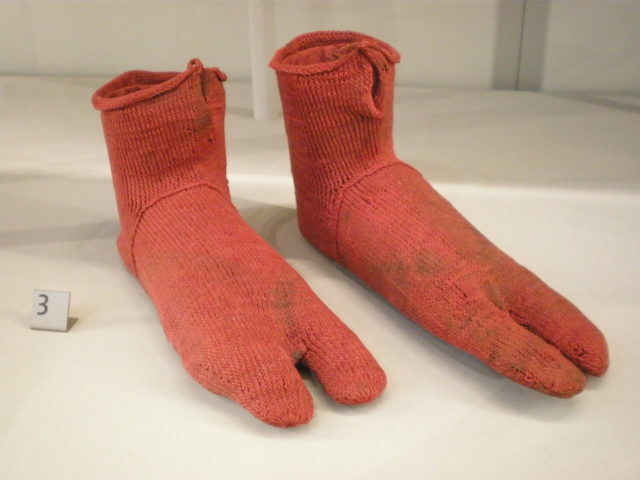 These socks date back to around 350 and 420 AD. They are considered to be Romano-Egyptian and were found in a burial ground in an ancient Greece colony in the late 1800s. They are considered alien socks, or lobster toes, because the wool socks were knitted in bright red and have a split toe, possibly because they were worn with thong sandals. They were knitted with a rare stitch called Nalbindning, or single-needle knitting. 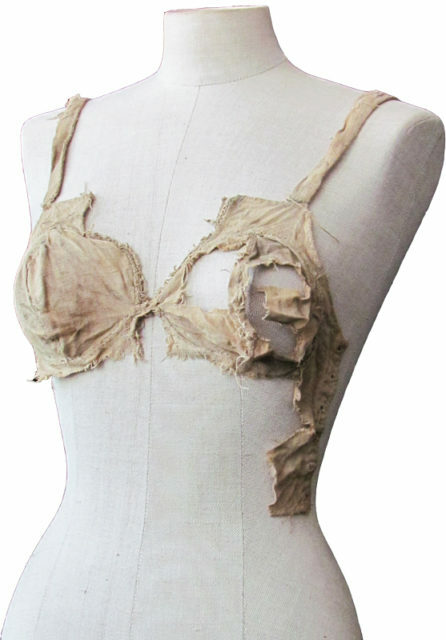 The bra was discovered under the floorboards of an Austrian castle in 2008. There were four linen bras decorated with lace found in a pile of more than 2,700 different textile fragments in between the floor boards in Lengberg Castle. Researchers believe that the bras date somewhere between 1390 and 1485. During that time, they were called “breast bags”. All four of the bras include distinct cups and shoulder straps, while two other items are more of a combination between a bra and short shirt.